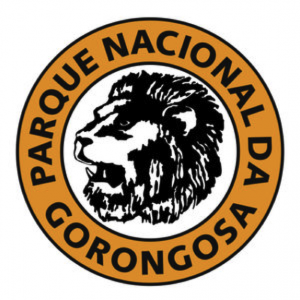 I was working with Piotr Naskrecki, the director of Gorongosa’s E.O. 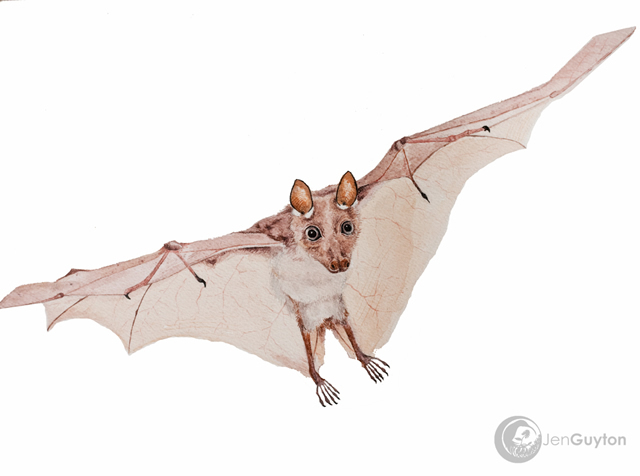 Wilson Biodiversity Laboratory and a renowned nature photographer, to create a photographic catalog of all of the bat species of Gorongosa. Piotr had put together a rather complex setup, involving a white fabric box with holes cut in two opposite sides. A laser points through each hole, and where the two lasers meet is the sweet spot: the bats have to barrel through it to trigger the camera. When a flying bat breaks the laser beam, six flashes burst aflame as the camera, mounted on a tripod a few feet away, snaps the picture. We’d been working patiently with this free-tailed bat for over half an hour without a single trigger. “Maybe it’s us. Let’s leave and let it be for a few minutes,” Piotr suggested. We left the tent and returned ten minutes later, and I peered into the box hopefully. The bat hadn’t budged an inch. It looked up from its perch in the top corner of the white box and bared its enormous fangs at me. Piotr called these particular bats “flying vipers”, and I’d felt those pearly white sickles tear through my fingers more than once. A photograph of the free-tailed bat Chaerophon ansorgei, a smaller relative of Mops condylura, which we convinced to fly inside a 10m-cubed tent. We used a lot more space than we had been working with originally, but we never got the Mops to fly! This photo shows this family’s characteristically long, narrow wings. Photograph by Piotr Naskrecki. “I don’t know why it won’t fly…” I mumbled, pages fluttering as I scanned for Mops in my copy of Bats of Southern and Central Africa. I was fairly new to the world of bats, having studied larger mammals throughout most of my career thus far, and I hadn’t yet learned to read their behavior. Jen Guyton (left) and Piotr Naskrecki preparing to photograph bats in flight at the E.O. Wilson Biodiversity Laboratory at Gorongosa National Park. “Let’s see… it says here they’re ‘open-air foragers’.” I remembered standing beneath the roost behind the camp restaurant at dusk, how hundreds of free-tailed bats poured out of the roof and tumbled nearly to the ground before they took flight and hurled into the night, zipping like tiny fighter jets past my face. Our other bats had done fine–but they were leaf-nosed bats (Hipposideridae) and horseshoe bats (Rhinolophidae), both “clutter foragers”, I read, which specialize in flying slowly and stealthily through the jumbled forest vegetation. Their short wings give them incredible maneuverability as they hunt their unsuspecting prey from behind a curtain of leaves. They were the tigers of the bat world, and now we were dealing with cheetahs. 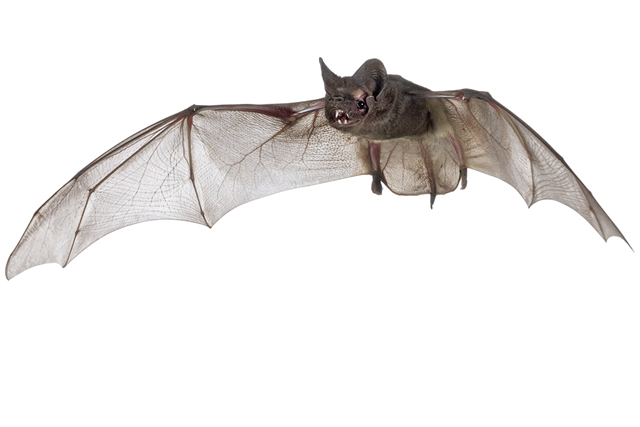 Free-tailed bats, it turns out, have long, narrow wings, specialized for flying high and fast. We would never get one to take off in a 1m3 box–it was a physical impossibility. I gently removed the bat from the box, stepped outside, and held it high. It showed me a mouth full of razor blades one last time and took off, its chest hairs almost brushing the ground as it dipped earthward and then zipped off into the darkness. 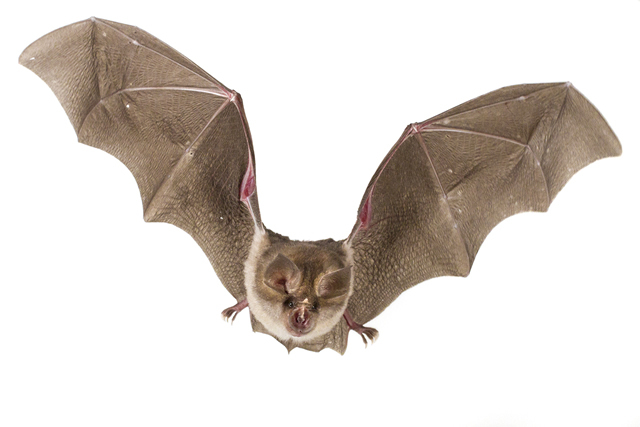 A photograph of Rhinolophus landeri, a clutter-foraging horseshoe bat. Its wings are short and broad, and can be drawn in to avoid obstacles, as shown here by the wrinkling in the wing membrane. Photograph by Piotr Naskrecki. That experience gave me an intuitive understanding of the strategies and adaptations of various bat species. I now have a vibrant image in my mind of a clutter-foraging horseshoe bat taking off from the floor of the box, flying in a tight circle, and sticking a perfect landing with its feet clinging to the box’s upper seam. In sharp contrast is the free-tailed bat, sitting, grinning, waiting for space. Producing a realistic watercolor painting forces the artist to pay attention to the most minute details. Painting by Jen Guyton. You can learn a lot about an animal through the patience and close observation to detail it requires to turn them into art. In addition to these photos, I recently started painting the animals I study. As I painted the digits of an epauletted fruit bat in fine detail, I thought to myself, “How interesting – its thumb extends far beyond the membrane and has a sharp claw, unlike the little insectivorous bats.” Some reading then told me that these thumbs are used for climbing and clinging to fruit, and I’ll never forget their structure. Art, like science, forces us to slow down and absorb every rich detail. For me, there’s no more vivid a way to see the world.